If you just started your search for a beverage refrigerator you’re probably reading lots of reviews to help with your decision. How cold does it get? Is it noisy? Will it last a long time? We encourage customers to write reviews because we understand what a helpful tool it can be when making a purchase. The EdgeStar Stainless Steel Beverage Cooler is a large capacity unit that can hold an impressive 148 cans. The built in unit contains an internal fan to circulate the cold air and three (3) glass shelves with holes to allow the cold air to be evenly distributed. The Danby 5.4 Cu. Ft. Built-In Beverage Refrigerator is Energy Star rated, not only does it look and function great but it can help save money on your energy bills. The spacious interior has three white trimmed frosted glass shelves as well as 2 liter bottle storage. A special feature of this unit is the audible alarm which sounds if there is a sudden change in temperature. The sleek stainless steel will add a sophisticated touch to all modern kitchens. 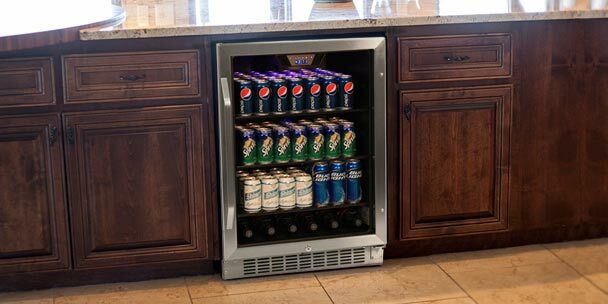 The EdgeStar 80 Can Built-In Beverage Cooler has a 15” slim width that fits in almost any space. This versatile unit has an internal fan which helps circulate the cold air throughout the unit to ensure that your beverages are cooled efficiently. This beverage refrigerator also features a security lock, digital temperature display, and LED interior lights. The Magic Chef Dual Zone Digital Wine and Beverage Cooler is a high capacity beverage refrigerator that holds 77 cans and 16 bottles. 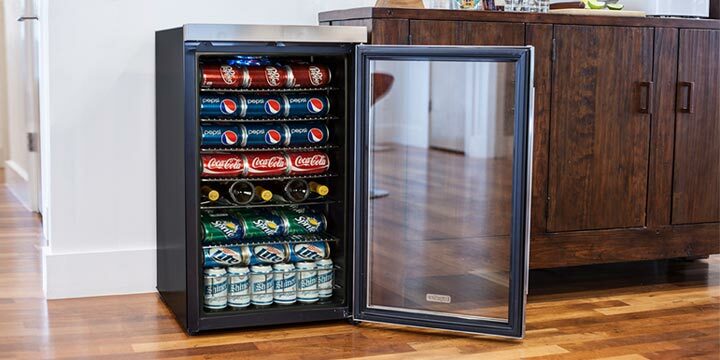 The dual temperature zones are adjustable between 39°-61°F so you can separately store soda, beer, and wine at their appropriate and preferred serving temperatures. 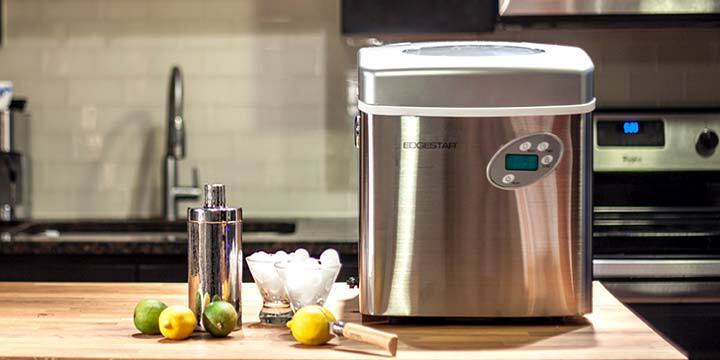 The Edgestar Outdoor Beverage Refrigerator is made of stainless steel and triple pane glass which helps keep the internal temperature consistent in any climate. An LCD screen displays the current temperature which can be adjusted in 1 degree increments. 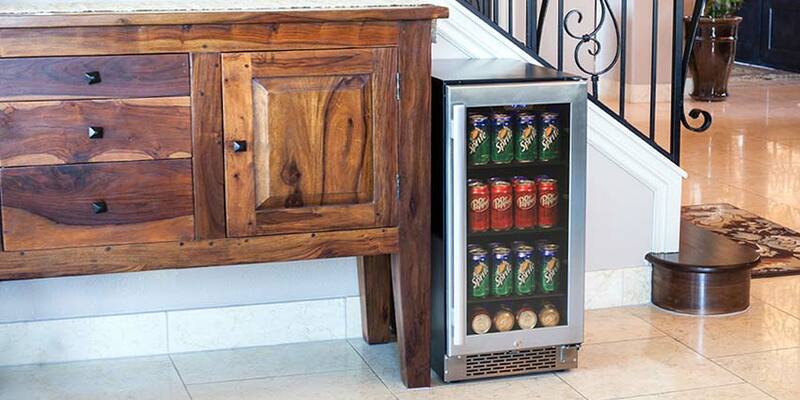 This durable outdoor beverage refrigerator can be used as a built in or freestanding unit. The EdgeStar 103 Can and 5 Bottle Extreme Cool Beverage Cooler comes with six (6) adjustable chrome flat wire shelves and one (1) scalloped bottle shelf. 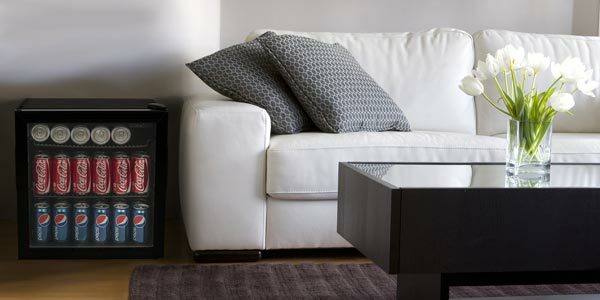 This freestanding unit adds convenience and luxury to any living space. The Danby 120 can beverage cooler holds an astounding 120 cans featuring three (3) full size wire shelves and one (1) half width wire shelf. A sleek exterior with black cabinet, stainless steel trim, and glass door makes this freestanding unit stylish and functional. 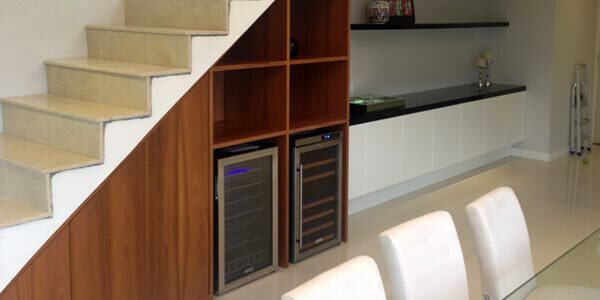 I’m searching for a built -in dual wine and beverage cooler with a depth of 19-20in. In 2015, I received a Vissani kitchen refrigerator from Home Depot as a replacement for a defective unit of another brand. That unit was under warranty. The Vissani is not worth the energy needed to lug it out of HOME DEPOT.. During the summer hot spell, the freezer box began to ice up. This caused the circulating unit to fail, causing the refrigerator section not to cool. Right now, I am defrosting the piece of junk to try to get it operating again, until I can get another unit from a reputable vendor. It appears that you only want laudatory comments, and my experience does not confirm such. The Vissani kitchen refrigerator I received from HOME DEPOT as a replacement for another defective unit is no better. During the hot spell this summer, the freezer box began ice up. Now the refrigerator box does not cool. I am defrosting the unit to attempt to get it to function. A totally unsatisfactory appliance. Never another. The Vissani kitchen refrigerator I received from HOME DEPOT as a replacement for another defective unit is not satisfactory. During the heat spell this summer, the refrigerator box began icing up. This seems to have caused the refrigerator box to cease cooling. I am defrosting the unit at this moment to attempt to get it to function. 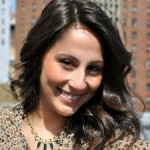 I am totally dissatisfied with Vissani kitchen appliances. I want the quietest operating under counter dual zone 30 inch wide wine refrigerator. I believe the Summit is very noisy. Which other options are there that you believe would be quieter? Is Edge Star quieter? Any others? Looking for under-counter beverage/wine cooler 15-19″ in width – not way expensive and “quiet” running. I bought a Vissani wine cooler and a fridge to complete the undercounter built in look in my game room. The wine fridge still (kinda) works but the regular fridge lasted, at the most, a year. I gave it to the local vo-tech school to see if they could bring it back to life. There was no hope, was told it was crap & landfill….there you have it.